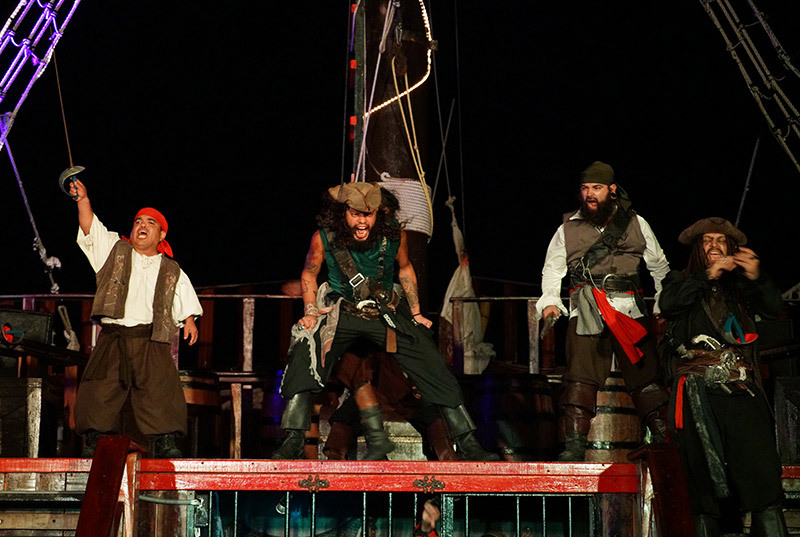 Jolly Rogers Pirate Show Cancun is one of the best boat tours in Cancun. Sail aboard this impressive galleon modeled on Columbus? 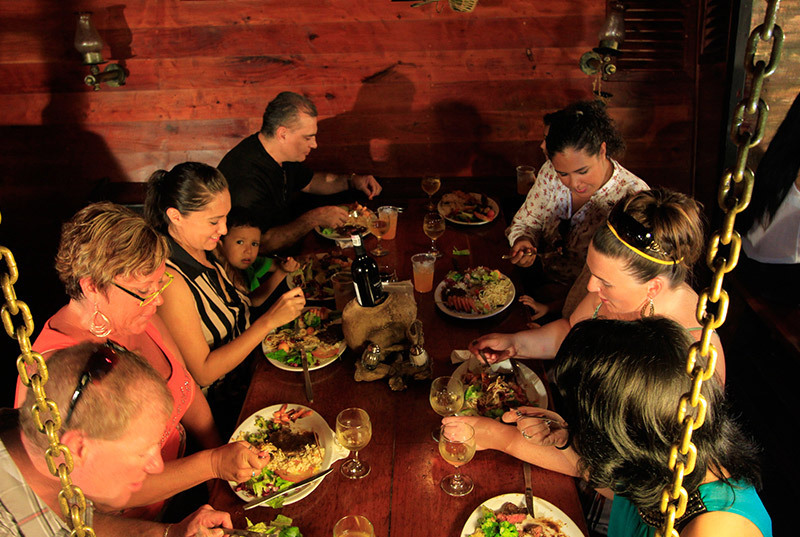 original flagship from his first voyage to the Americas and have a delicious lobster or steak dinner. 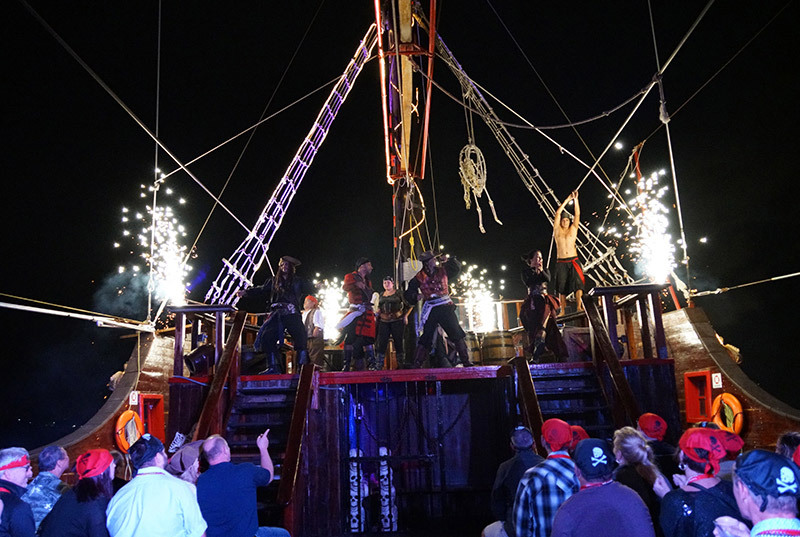 Aboard Jolly Roger's Pirate ship swords will clash, cannons will explode and cups will overflow, you can't miss this exciting experience, book now! Unforgettable night and dinner on a ship full of entertainment, activities, special effects, and acrobatics. 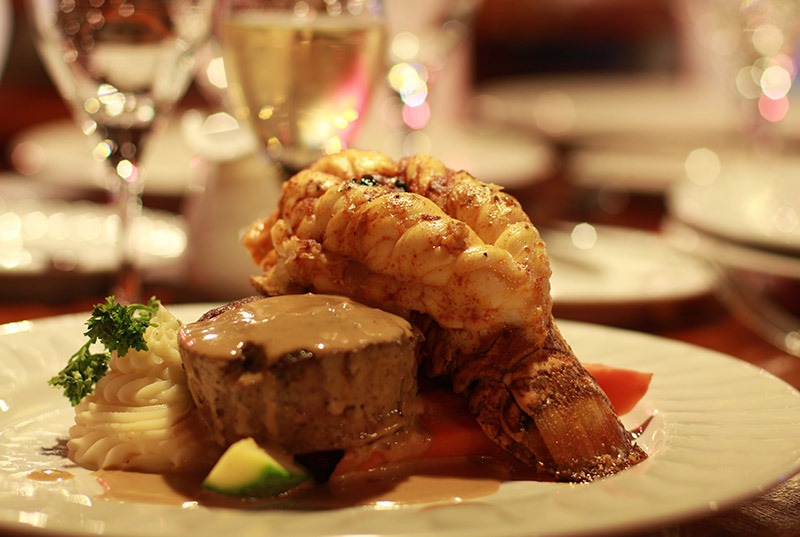 Select between lobster, shrimp, steak, fish or chicken dinner w/ unlimited salad & garnish bar. Premium open bar during the whole tour. 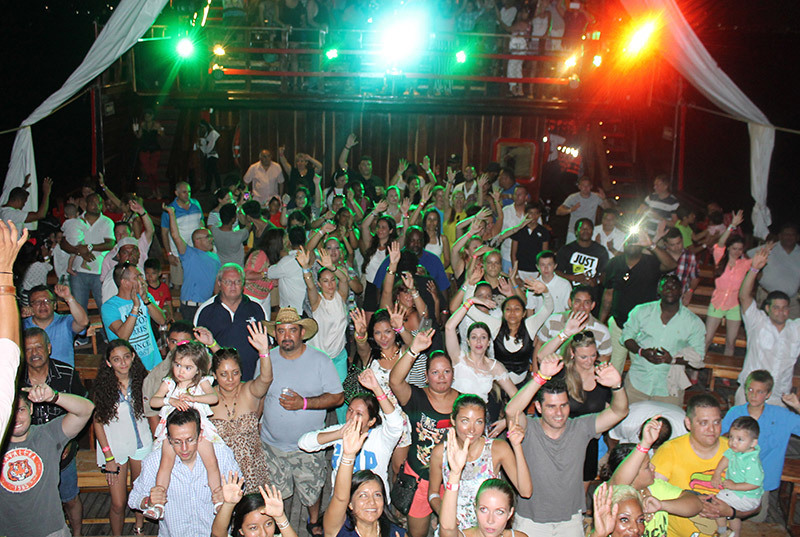 Enjoy a musical party, contests, dancing and fireworks. Children are welcome, as there are special activities and menu for them. The best thing to do at night in Cancun, book now! "Regular": Fillet Mignon, Chicken breast stuffed with cheese and spinach, Fish fillet with fine herbs, Grilled Salmon or Vegeterian Menú (Cheese Ravioli or Vegetarian lasagna). We suggest you to wear comfortable shoes and clothing, as well as a coat for the return journey, as it can get a little chilly. Cash for tips & souvenirs. The rate doesn't include a $11.00 USD dock fee, which is paid at the moment of check in for participants over the age of 4.